Hungry? Beware – reaching for the chips or soda could be at the root of your mental health. After all, we really are what we eat. As it turns out, recent studies have shown that diet and mental health are more closely linked than we realize. 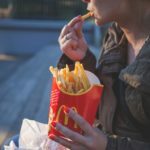 These alarming statistics, coupled with the fact that the Western diet is often filled with junk food, made scientists wonder if the two were linked. Does nutrition affect the brain as much as it does the body? To find out, about ten years ago, researchers began to look into the relationship between diet and mental health. Now researchers are even thinking that food allergies may play a role in bipolar disorder and schizophrenia. Most of the recent studies have revolved around the connection between a healthy diet and mood disorders like anxiety and depression. Although direct evidence connecting diet and mental health hasn’t been found yet, currently there are trials in progress to obtain it. Changing brain proteins and enzymes to increase neural transmitters, which are the connections between brain cells. Increasing good gut bacteria. This promotes a healthy gut biome, which decreases inflammation. Inflammation is known to affect both cognition and mood. Raising serotonin levels through various food enzymes, which improves mood. We know that a nutrient-rich diet produces changes in brain proteins that improve the connections between brain cells. 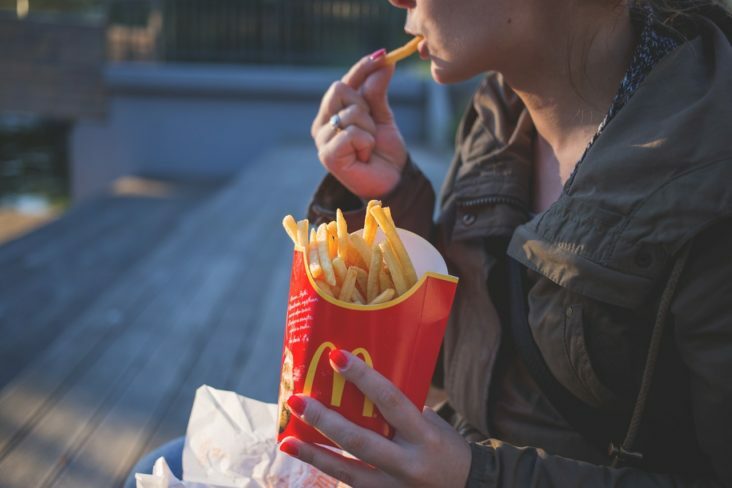 But diets that are high in saturated fats and refined sugars have been shown to have a “very potent negative impact on brain proteins,” Jacka says. It sounds logical that the foods that are best for the body would also be the ones that promote brain health. This is supported by the results from a large European study that showed that nutrient-dense foods like the ones found on the Mediterranean diet may actually help prevent depression. Zinc – low levels of zinc can cause depression. Omega 3s – may improve mood and do help improve memory and thinking. Iron – iron-deficiency anemia plays a part in depression. Eating nutrient-dense foods like whole grains, leafy greens, colorful vegetables, beans and legumes, seafood, and fruits will boost the body’s overall health – including brain health. Both the Mediterranean diet and the DASH diet, which eliminates sugar, were found to significantly improve symptoms in the patients who took part in one study on diet and mental health. Adding fermented foods like sauerkraut, miso, kimchi, pickles, or kombucha, to your diet can improve gut health and increase serotonin levels. Serotonin is a neurotransmitter that helps to regulate sleep and stabilize mood. About 95% of serotonin is produced in the gut, so it is understandable that eating these foods can make you feel more emotionally healthy. The next time you reach for the chips and soda, ask yourself if they are benefiting your brain. Then, grab some cultured yogurt or an apple instead. Remember – every bite counts! Note: Dietary changes shouldn’t substitute for treatment. If you are on medications for a mental health disorder, don’t replace or reduce them with food on your own. Speak with your doctor about what you should eat, as well as what you shouldn’t. Medications will work better in a healthy body than an unhealthy one. For more information about the relationship between your diet and mental health, talk to the professionals at The Center for Treatment of Anxiety and Mood Disorders in Delray Beach, Florida help. Contact us or call us today at 561-496-1094. 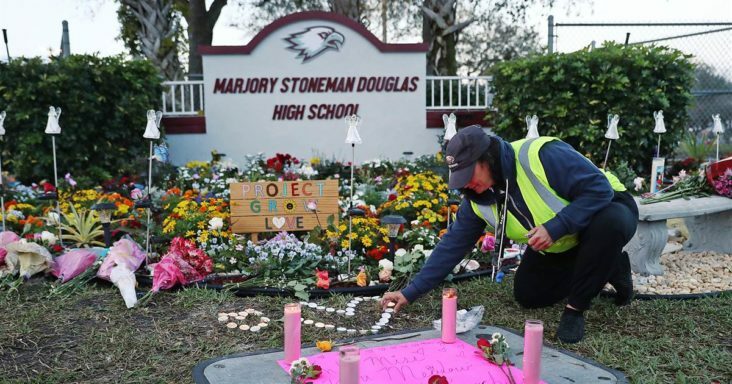 We are only one month past the first anniversary of the shootings at Marjorie Stoneman Douglas High School and this past week we have all been saddened to learn of the suicides of two students who survived the attack. Additionally, the father of a child who was killed in the 2012 Sandy Hook school shootings also died this week – apparently due to suicide. Is it possible that these deaths are the result of suicide contagion? When the media reports that someone notable has died by suicide, it often seems that other suicides quickly follow – as if taking one’s life somehow becomes “contagious.” As an example, we saw this phenomenon last summer when Anthony Bourdain took his own life within days of Kate Spade’s death. Now there are concerns that this most recent suicide cluster involving the Parkland students and the Sandy Hook father may have happened partly because of suicide contagion. Suicide contagion is also known as the Werther Effect – a phrase coined by suicide researcher, David Phillips, in the 1970s. Werther was a character in a 1774 novel by Johann Wolfgang von Goethe. In the book, Werther kills himself after the woman he loves marries another man. The book was blamed for numerous copycat suicides across Europe after its release. In this early example of suicide contagion, many of the victims died in a similar manner to the Werther character’s death in the novel. Some were even found with copies of the book on or near their bodies. There is strong evidence to suggest that suicides can occur in groups. Moreover, Phillips’ research into clusters of suicides led him to conclude that copycat suicides rise when there is excessive media coverage of the suicide of notable figures. Experts have long debated why suicide contagion occurs. Does the news coverage of a suicide cause other people to take their own lives or do they do so because they were already in a vulnerable state? Either way, media guidelines for reporting these deaths have been in place in many parts of the world since the end of the twentieth century. The Centers for Disease Controls and Prevention (CDC) and the World Health Organization (WHO) have both issued policies for how news reports should cover notable and celebrity suicides. Nowadays, however, we have a new concern. In the twenty-first century, we rely less on standard media reporting (like radio, newspapers, or television reports) and depend more on online sources to find out what is happening around us. In particular, young people get their news from the internet and social media, which can spread a topic far faster than news broadcasts and – unfortunately – can do so with no filtering. 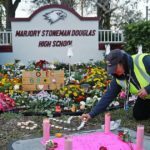 In the case of the Parkland tragedy, we know that the first student to take her life was struggling with post-traumatic stress disorder (PTSD). She also suffered with survivor’s guilt, as do many of the teens who were there that day. It can be devastating to know that you’re still alive, but your friends will not reach the milestones that you will. Instead of being happy occasions, events like graduation or the first day of college are often very distressing for a survivor. For young people between the ages of 10 and 24, suicide is already the second leading cause of death and this is without factoring in the trauma of a massacre like the one in Parkland. Clearly, we need to talk more openly about suicide prevention. Adults and peers can help prevent a death by watching for youth suicide signs and risk factors and asking direct questions. The chances of suicide can also increase in someone who has recently had a financial loss, been diagnosed with a major physical illness, lost their job, or lost a close relationship. The first step in suicide prevention is awareness that someone is considering suicide. The next step is determining whether intervention is needed immediately. If you know someone is at risk, you can help them by using the Columbia Protocol suicide risk assessment. The Columbia Protocol was developed jointly by researchers from Columbia University, the University of Pittsburgh, and the University of Pennsylvania, in conjunction with the National Institute of Mental Health (NIMH). In 2011, it was adopted by the CDC and today it is used worldwide to assess at-risk individuals. The Columbia Protocol is a series of three to six simple, direct questions that you ask the person you are concerned about. The answers they give will provide enough information to know whether they need help and whether urgent action is needed (download the free Columbia Protocol toolkit now). If your child or someone else you know tells you they are considering suicide, don’t judge them. Instead, show compassion for their feelings. Next, get help from a mental health professional or a suicide crisis hotline. The crisis hotline is especially critical if the person is in immediate danger of attempting suicide. Never leave someone alone if they are threatening suicide. If you believe they are in immediate danger, call 911 or the National Suicide Prevention Lifeline at 800-273-TALK (800-273-8255) in the United States. The line is open 24/7. If you are worried about yourself or a loved one who may be at risk for suicide, talk to the mental health professionals at The Center for Treatment of Anxiety and Mood Disorders in Delray Beach, Florida. Contact us or call us today at 561-496-1094. For those who struggle with anxiety and insomnia, lying in bed at night can be dreadful. Before getting into bed for the night, many will describe allowing themselves to have a nice, relaxing evening. They may feel relatively low stress or little to no anxiety. But, as soon as the lights turn off for the night, the brain turns on with a vengeance. Now you’re in bed, wide awake, worrying about any and every possible negative outcome in the days, weeks, months and even years ahead. 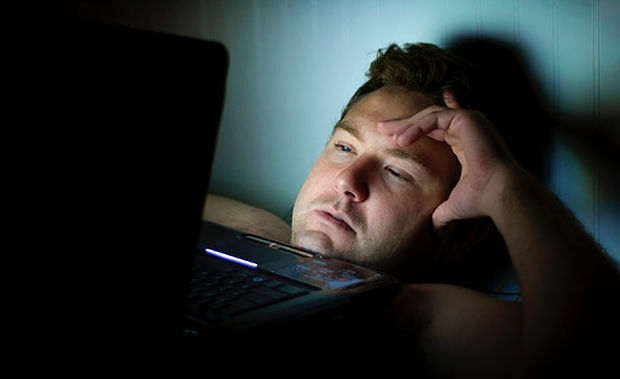 What’s more, anxiety at bedtime often becomes anxiety about sleep. The focus then shifts to trying to sleep, which puts us in a frustrating paradox because sleep is an automatic process that we cannot force. What’s really keeping us awake at night? Why does our anxiety have such a propensity to attack us when we try to sleep? Read the full post by our very own Dr. Brand here. If you are suffering from anxiety, get help from our mental health professionals at The Center for Treatment of Anxiety and Mood Disorders in Delray Beach, Florida. To get answers to your questions or for more information, contact us or call us today at 561-496-1094. 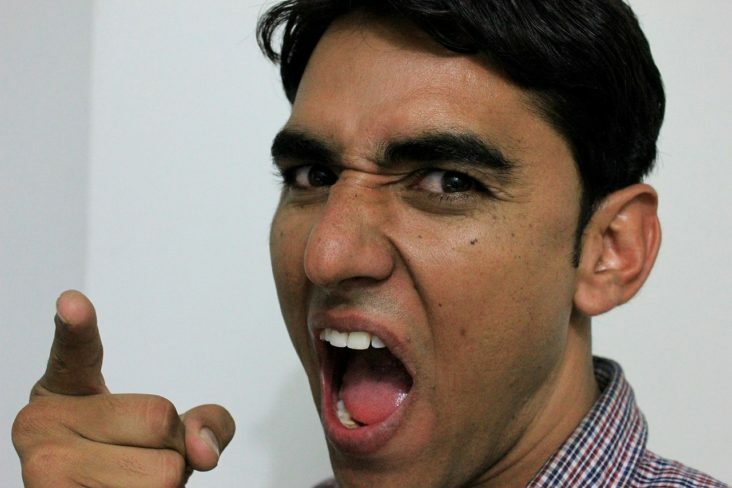 Abusive Relationships – Are You Involved With A Narcissist? A narcissist is usually described as someone who believes they are better than others. It’s all about them. They think they know more about everything, are better looking, and have a better personality than those around them. They don’t have much regard for others. Narcissists feel they deserve special treatment because they are so special. Everything they do stems from their need for approval. Life is good as long as they get their “fix.” But, those in a relationship with a narcissist often find that they unknowingly say or do the wrong thing, which sets off the narcissist’s hostility – even in minor situations. What Makes A Person A Narcissist? When you are in a relationship with a narcissist, the beginning stages can be overwhelmingly romantic. Narcissists are often popular people who are charming and engaging. They’ll “sweep you off your feet,” causing you to overlook any red flags. In a new relationships, narcissists will go out of the way to make you feel special by sending flowers and surprising you with thoughtful gifts. They’ll flatter you and tell you how wonderful you are. They usually want quick intimacy and a commitment from you. But, they are prone to grand ideas and exaggeration. They often have more than one intimate partner (even if they are in a long-term relationship) because they need more attention and admiration than one person can give them. When something goes wrong, they lash out and their loved ones are generally their primary target. Narcissists have trouble holding positive feelings toward someone while they are angry at them. Thus, they become cold, withhold their love and attention, and sometimes become violent. Their bullying and belittling is a way to cover up an underlying fear that they don’t measure up. A narcissist must maintain superiority at all costs, even if it means putting down or insulting their loved one in public or striking them in anger. A 2008 study by Stinson, et al., revealed that 6.2% of the U.S. adult population has NPD. The disorder is most common in males. It is thought to be caused by both genetics and biology, combined with the person’s early home life and life experiences. How Do You Get Away From A Narcissist? Don’t think that a narcissist will change if only you care about them enough – especially if the person has NPD. No matter what you do, it will never be enough, last long enough, or be loving enough for them, unless the person can become more self-aware. But, it is a rare narcissist who digs deeply enough into their own shortcomings to change that much. In their minds, everything that goes wrong is someone else’s fault. In a relationship, they fault their significant other, although their loved one has no idea what they did wrong. Tiptoeing around their outbursts isn’t going to change them. Letting them rant won’t pacify them. In order for them to change, they have to want to change – and a narcissist won’t even be willing to try unless they can really understand and empathize with your pain. Block them from your social media, block their phone number, and block the friends you have in common. A narcissist can’t stand to lose, so they’ll have no problem using any of these methods to win you back. Don’t go back, despite their pleas that they made a mistake or that this time will be different. For narcissists, it’s all about winning. They’ll say or do whatever it takes to get you back. But, if you go back, ultimately nothing will change and you’ll go through the cycle of upset, pain, and leaving them again. Concentrate on the future. You deserve to be in a healthy relationship. Don’t worry about the narcissist or try to contact them. Once a narcissist realizes the relationship is truly over, they can move on with very little thought to the pain you are going through. Don’t beat yourself up over the relationship. Narcissists are great manipulators and deceivers. There is even a term – narcissistic trauma bonding – that explains why it can be so difficult to leave a relationship with a narcissist. Learn from the relationship so you don’t repeat the pattern with someone else. Current treatment for NPD is talk therapy and group therapy. These modalities sometimes can help a narcissist learn to relate to others more compassionately. Additionally, mentalization-based therapy may help the person learn to analyze someone’s behavior before misinterpreting it and reacting inappropriately. The success of any therapy for narcissism relies on the person being able to acknowledge that they have a problem. Given a narcissist’s inflated view of themselves and their general defensiveness, this can be challenging. In fact, to date there have been no randomized clinical trials examining the efficacy of any treatment for the disorder (Levy, et al). For many people, the best thing they can do for themselves is to break away from the narcissist. If that isn’t possible, seek therapy and get support to rebuild the self-esteem and confidence you have lost because of your abuse. Seek out a mental health professional who has been specially trained in trauma recovery to aid in healing from narcissistic abuse. A therapist can help you learn to communicate effectively and set boundaries so the narcissist can no longer take advantage of you. Important: if you are experiencing physical abuse, understand that it will continue or will get worse. Get help immediately by calling the National Domestic Violence Hotline at 1-800-799-7233. If you are involved with a narcissist, get help from our specially-trained trauma recovery mental health professionals at The Center for Treatment of Anxiety and Mood Disorders in Delray Beach, Florida. To get answers to your questions or for more information, contact us or call us today at 561-496-1094. Frederick Stinson, Deborah Dawson, Rise Goldstein, S. Patricia Chou, Boji Huang, Sharon Smith, W. June Ruan, Attila Pulay, Tulshi Saha, Roger Pickering and Bridget Grant, “Prevalence, correlates, disability, and comorbidity of DSM-IV narcissistic personality disorder: Results from the Wave 2 National Epidemiologic Survey on Alcohol and Related Conditions,” Journal of Clinical Psychiatry 69, no. 7 (July 2008):1033–45, 1036. People form countless relationships throughout their lives – with family members, friends, coworkers, and neighbors. We have the deepest connections with the people we love – these relationships help make us who we are. They contribute to our sense of identity and have the power to transform us, for good or bad. Because of this, the death of a loved one can create numerous psychological issues, including PTSD, particularly if the loss was tragic and unexpected. We know that survivors often experience depression or anxiety after the death of someone close. We don’t usually think about them having posttraumatic stress disorder (PTSD), but it can also happen, especially after a catastrophic death. 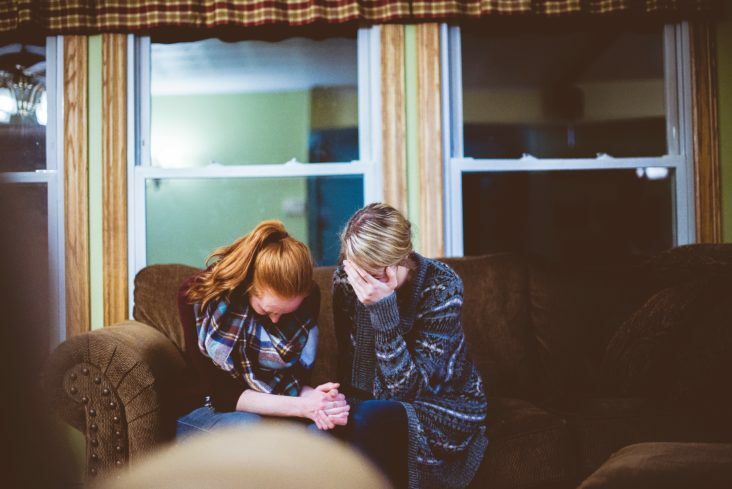 By definition, PTSD can occur when someone has “experienced, witnessed, or been confronted with a terrible event.” News of an unexpected death already brings up especially strong emotions because it catches us off guard. A tragic death magnifies those feelings. Being frequently angry, tense, or jumpy. Physical symptoms like heart palpitations, sweating, or hyperventilating. Flashbacks of the trauma or dwelling on what the person might have gone through in their final moments. Persistent avoidance of things or events that remind us of the person or place where the tragedy occurred. Avoiding the emotions surrounding the death or event. Changing their personal routine to avoid reminders of the event. Distorted feelings of guilt; blaming themselves for the event. Most of the time, people will slowly begin to recover from the initial shock and grief of a death. For those with PTSD, though, the symptoms dramatically affect their day-to-day life and they experience them for at least a month. There are several effective treatment therapies for PTSD after the sudden or traumatic death of a loved one, including Cognitive Behavior Therapy (CBT) and Eye Movement Desensitization and Reprocessing (EMDR). Sometimes medications are used in conjunction with these modalities. A tragedy and the resulting trauma can alter your thinking as you try to process what happened. For example, you might feel overwhelming guilt as if you were somehow responsible for the event. Or you may feel detached from the world or from those you love. These negative thoughts can cause you to avoid the things you normally enjoy or make you worry obsessively that you’ll lose someone else in a similar manner. Cognitive behavioral therapy (CBT) teaches you to become aware of your beliefs and thoughts about the situation. Once you identify them, it gives you the skills to see whether there are facts to support those thoughts and how to let them go if there aren’t. In short, CBT helps you manage your destructive beliefs so you can replace them with accurate views. EMDR helps people process trauma on an emotional level. It has been shown to help PTSD sufferers heal faster than through traditional therapy. In fact, a study funded by the Kaiser Permanente HMO found that 100% of single-trauma victims and 77% of multiple trauma victims were no longer diagnosed with PTSD after just six 50-minute sessions. In PTSD, traumatic thoughts and memories work against the brain’s healing process. Flashbacks, nightmares, and disturbing emotions cycle through the brain, keeping the ordeal in the forefront of the person’s mind. Eye Movement Desensitization and Reprocessing therapy can break that cycle. EMDR uses bilateral (both sides of the body) stimuli to tap into the biological mechanisms the brain uses during Rapid Eye Movement (REM) sleep. The theory is that using REM while recalling the disturbing thoughts or memories of the trauma helps the brain process it naturally, allowing the mind to heal. 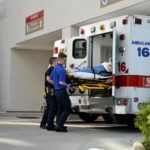 If you or someone you love has been suffering from PTSD following the traumatic death of someone close to you, talk to the mental health professionals at The Center for Treatment of Anxiety and Mood Disorders in Delray Beach, Florida help. To get answers to your questions or for more information, contact us or call us today at 561-496-1094. Keyes, K. M., Pratt, C., Galea, S., McLaughlin, K. A., Koenen, K. C., & Shear, M. K. (2014). The burden of loss: unexpected death of a loved one and psychiatric disorders across the life course in a national study. The American journal of psychiatry, 171(8), 864-71. When the nation mourned the passing of former President George H. W. Bush recently, the media covered every detail. We relived important moments in the President’s life via televised tributes. Images of Sully, the President’s faithful service dog, coursed across our screens as he lay at the base of the casket. Mr. Bush’s funeral was streamed live in its entirety, making us all feel as if we were grieving together at the service as the world bid farewell. Even though you likely never met Mr. Bush, you probably feel as if you knew him. The lives of celebrities and important figures are covered so extensively by today’s media that we often feel a kinship with these people. Because of this, sometimes it can feel intensely personal when they pass away, triggering our own grief or bringing up latent emotions surrounding the deaths of our own loved ones. Why Do We Mourn Celebrity Deaths? It’s normal to feel emotional after the death of someone famous. Even if you don’t know them, you might go through a period of sadness and grief, or feel shock or anger at their loss. Because of today’s prevalent social media platforms, we know the most intimate details of the person’s life. We can view pictures of them whenever we want to and can read their own thoughts in their online posts. This 24/7 accessibility makes us feel like we have a personal relationship with them. In other words, we identify with them, so we feel a bond and we grieve when they pass away. The loss of a celebrity and the ensuing grief of their admirers is both natural and common. The depth of the sadness and loss a fan feels is influenced by the closeness of their perceived connection to the celebrity. In a sense, a fan might almost feel like they’ve lost a family member. The resulting deluge of social media tributes to the person only deepens their sense of loss. Shock or feeling numb, having difficulty believing the person has passed away. Difficulty eating or appetite changes that result in losing or gaining weight. Feeling sad, lonely, empty, or despair over their loss. Physical symptoms such as stomach upset, irritability, headaches or migraines. Stop watching news coverage of the person’s passing. Celebrities are larger than life, so they seem invincible. Watching endless recaps of their life on the news or reading about it on the internet can increase your distress. Instead, try to focus on something positive, which raises your optimism and makes you feel less discouraged. Remember that the person’s impact on your life is still with you even if they are gone. You can revisit those good memories by reading their books, listening to their music, or watching a show the celebrity was in. Collect and hold on to a few items of memorabilia that represent your connection to them, so that their impact on your life will remain. Devote some time to mourn. Everyone processes grief in different ways. Give yourself time (and permission) to mourn the person. Connect with other fans of the celebrity, so you can share your feelings and feel supported. Be aware that sometimes your reaction to a celebrity death may tie into your mourning for someone close to you. It isn’t uncommon for a celebrity death to trigger emotions relating to the passing of someone we knew and loved. Society tends to frown on emotional displays, so you may not have been able to let go and publicly grieve for your loved one. The mourning of a celebrity is expected, however, which can free you to grieve the person you actually lost. Maintain your regular routine. Patterns provide a sense of security and comfort when you are upset and grieving. Seek help if it becomes too much. While it is natural to feel emotional about the loss of a celebrity, be aware of how long you take to move past your grief. If you are struggling, you may benefit from talking with a licensed mental health professional who specializes in grief counseling. It is especially important to do this if you find that you can’t carry out the daily tasks of living, such as sleeping, eating, and other functions. Watching the national coverage of the passing of a famous person can trigger grief and feelings of loss. If you are having a hard time moving past the death of former President George H. W. Bush or another celebrity, the grief and loss treatment programs at The Center for Treatment of Anxiety and Mood Disorders in Delray Beach, Florida, can help. To get more information, contact us or call us today at 561-496-1094. What is resilience? Resilience is something we all want, few of us practice and most of us have little idea as to what it is. We go through our lives in lock-step dealing with life’s numerous pitfalls and challenges without an understanding of the impact that stress has on our bodies and psyche. Resilience represents an individual’s ability to effectively tolerate life’s stressors, to more effectively “go with the flow” so to speak. To be resilient means that even though we cannot avoid stress we have the capability of actively managing it. So it becomes quite clear that there is value in better understanding this concept. More importantly, we need to develop the capacity of resilience. 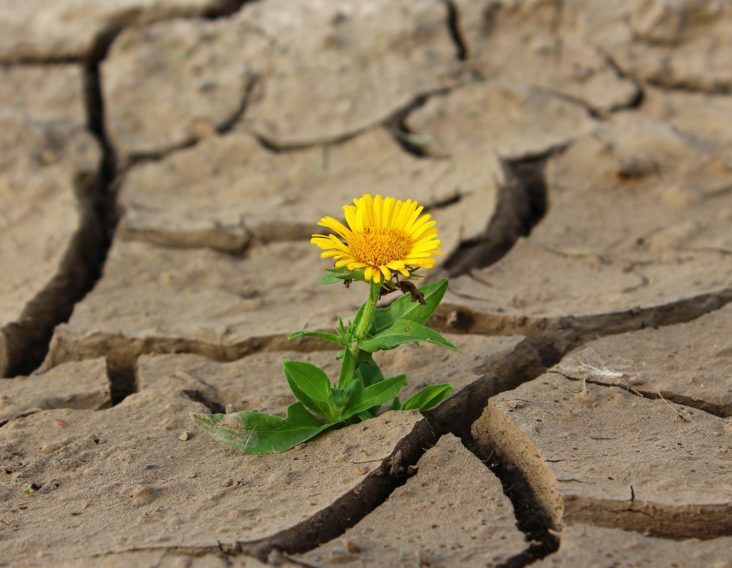 For some, resilience may be an inborn trait. 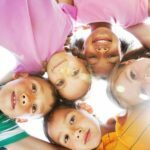 These individuals are lucky enough to be born with nervous systems that automatically foster resilience while others may be born with nervous systems that overreact to stress. The pathological worrier when faced with a life challenge may intensify the stress reaction by catastrophic thinking that leads to unhealthy emotional and physiologic reactivity. Those of us with resilience traits should learn how to enhance them while those with limited stress-control capabilities need to find ways to develop such traits. Simply speaking, resilience is multifaceted. It requires first that we make ourselves aware of how we journey through life. When we are stuck in traffic and find ourselves being late for a meeting or activity, how do we react to this potential stress. We have a choice of fretting over it to the point that our heart rate goes up, stomach acid gets released in larger quantities and our brain fires off alarm reactions. This type of stress further releases unhealthy bodily chemicals like free radicals, brain chemicals that signal danger. It is not uncommon for this to result in back and head musculature contraction leading to tension headaches and backaches. But we also have the choice of placing this stress in a more appropriate perspective by consciously acknowledging that we truly may have no control over the traffic situation, did not cause it and certainly have no way of clearing a path through bumper to bumper vehicles. This does not mean that we shouldn’t feel badly about being late for our appointment and apologize when we get to our destination, but at the same time we don’t need to get ourselves into a tizzy over this. We can further trouble shoot and adjust our departure time if this route is known for traffic jams. Just discuss highway travel strategy with anyone residing in the Los Angeles area! Resilience is about reasserting locus of control in situations that appear to be beyond our control. A psychological term, locus of control refers to establishing a mindset of control despite the nature of the challenge facing us. This requires being cognizant of how we are dealing with the issue in front of us no matter how vexing it may be. It sounds so simple yet this concept is mastered by few of us. We tend to be engaged in a mindless dance through life without attending to the need to be “present”, to attend to how we are reacting to each step of our travels. The task at hand is to regain the locus of control, to get back into the captain’s seat of life and actively do the best we can under the circumstances. In reality, resilience is multi-faceted. It is about balance and the conscious decision to attend to the myriad aspects of our daily life journey. There are some simple aspects to this balance. Attending to nutrition, adequate sleep, exercise, establishing a daily routine and maintaining social interactions comprise a core set of basics. Self awareness is an essential component of this balance. However, as indicated earlier in this discussion, self-awareness escapes many of us. For example, how many of us are aware of our breathing? How shallow or deep, rapid or slow? Do we breathe in or breath out through our nose or our mouth? Does it make a difference? Do we inhale by natural downward excursion of our abdominal diaphragm or through the expansion of our ribcage? Research decades ago revealed that diaphragmatic breathing is healthier because it allows for a more robust intake of air than that of ribcage breathing. In fact, a researcher identified what is called the Q reflex or Quieting reflex in response to diaphragmatic breathing. It is no accident that the ancients emphasized the importance of breath work and diaphragmatic respiration as the core of meditation that is today a critical component of Yoga meditation. Healthy self-talk is another major aspect of resilience development. We all engage is self-talk. Unfortunately, much self-talk is negative and self critical. Becoming aware of this tendency is absolutely essential. It is one thing if the negativity is well earned. We should certainly own up to our mistakes and failures. However, it is more common for self critical thinking to not be based on the facts but emanate from a life of low self regard and confidence, much of it based on unhelpful childhood conditioning. This brings us to the importance of pursuing mindfulness in our quest to develop resilience. Mindfulness requires attention to our present situation, not just a cursory approach but a comprehensive assessment of the here-and-now. It is much more than our motorist we previously discussed stuck in traffic reacting to being late by getting upset and wallowing in this negative state. It requires an active participation in the event, acknowledging the problem, recognizing the absence of realistic control over the traffic jam, the need to call ahead and alert our destination of the unfortunate circumstance while appropriately apologizing for this situation. 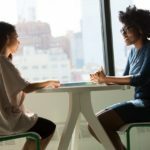 Mindfulness also involves taking active responsibility for our self-talk and learning how to develop more effective filters for the negativity that invades much of our personal internal banter. This ability can be learned and must be practiced regularly to become more of an automatic process. The ability to clear one’s mind of negativity becomes one of the finest gifts that we can provide for ourselves. Successful meditators will tell you about the bliss they encounter when they are able to empty their minds of non-essential thoughts. Finally, we cannot have a discussion about resiliency without understanding the concept of emotional dysregulation. It turns out that the human psyche is composed of two operating systems. We are all aware of the two popular computer operating systems, one that runs Apple software and the other Microsoft software. The human operating system that we are most aware of is composed of words that result in language based communication. This particular system is based on logic. It is what this article utilizes as you read it. However, parallel to this operating system is one that is based on emotions. Emotions are not easily defined using words or language. Emotional expression is by its nature illogical. It is most important to understand that the operating system that governs emotions is extremely powerful and often gains control over our logical language-based operating system. Abusive relationships, addictive behaviors, impulsive and rash life decisions are examples of the dominance of emotions over logic. Our challenge becomes one of regaining control over our emotional being. The first step in this process is to becoming mindful of our emotional production and not allowing emotions to run amok without conscious awareness. Once we can recognize problematic emotions we have the ability to modify and channel them in a more helpful manner. One can actually learn the skillsets necessary to control the emotional operating system and with practice incorporate them into our daily existence. Dialectical behavior therapy (DBT) a component of cognitive behavior therapy (CBT) has been a major advance in addressing the painful human toll of emotional dysregulation. The twenty-first century has its own unique challenges and stressors to say the least. World events, internet connectedness, social media pressures and information explosiveness make our reality more complex than ever before. Fear not, for even though one may not be born with innate resilience it is possible to nurture this capability. However, this is not a passive process. It requires hard work and introspection often involving the assistance of a trained mental health professional. The benefits of resilience are immeasurable and certainly worthy of our efforts and hard work. Good luck! As reviewed in a past article, the field of Psychiatry is unique among medical specialties. At present, medical technology has yet to provide adequate imaging or laboratory testing that would allow for more objective assessment of a patient’s symptoms and concerns. A person with chest pain, fatigue and a racing heartbeat can rest assured that a carefully designed testing protocol will clarify the nature of the problem. Cardiac enzymes, electrocardiogram, chest x-ray and even cardiac catheterization will provide objective evidence to either rule-in or rule-out a cardiac event. Or the severe sore throat that makes swallowing difficult can be objectively clarified by obtaining a throat culture and consequently help the physician chose an antibiotic if indicated. So how to proceed with such limited biomedical test resources? The art of listening is the answer. Listening will not be successful unless the patient knows that he/she can freely tell their story. First, the patient needs to hear a simple question. “How can I be of help?” After their reply the telling of their story is most important. For this to be successful there needs to be an open and accepting attitude that promotes this storytelling. Once the story begins to unfold it is often necessary to backtrack and clarify aspects of the story. The words that the patient use become critical. What one individual means by the word “anxiety” may be quite different from that of others. I have discovered that behind the initial complaint of “I am anxious” will often be a core depressive illness that has an anxiety component. It is not uncommon for major depressive illnesses to contain a whole host of anxiety symptoms. What of the individual with a true primary anxiety disorder. It is not sufficient to accept the word anxiety at face value. That is because anxiety is a more complex disorder and cannot be explained by a single word. Simply speaking, anxiety can be best understood by two of its components. One is best described as “somatic” or physical. Symptoms can include rapid heartbeat, sweating, gurgling stomach, headaches, tight muscles, shortness of breath etc. This individual is persistently or episodically physically uncomfortable and restless. They feel like they do not have control over their bodily sensations. The other major component of anxiety is more mental or “psychic”. Such individuals spend excessive time with non-stop worrying. They get stuck with “what if this and what if that” thinking. They ruminate. They cannot turn off their brains. Sleep becomes difficult because of a busy head, Their thinking often is catastrophic, taking their worries down a path much farther than would be based on the current situation. Catastrophic thinking fuels the rumination and a vicious cycle ensues. I am making a big deal of such language because treatment is often influenced by the specific type of anxiety. There are different medications to address somatic anxiety than that of psychic anxiety. Psychotherapies also differ depending upon the clarification of the anxiety explanation. So this is much more than a semantic intellectual exercise. It is then most important to clarify the context of the individual’s symptoms. The goal is to try to determine how much the person’s difficulties are due to a reaction to a life situation. I have reviewed in past articles the difference between a core biologically-based psychiatric problem that definitely requires medication, a life based problem that would benefit from talking therapy and the hybrid situation in which a life stress induced problem triggers an underlying biological response that would require a combination of both types of treatment. One cannot get answers to such questions unless the dialog between physician and patient allows for a careful analysis of their story. I have found that there is an added benefit of this approach. 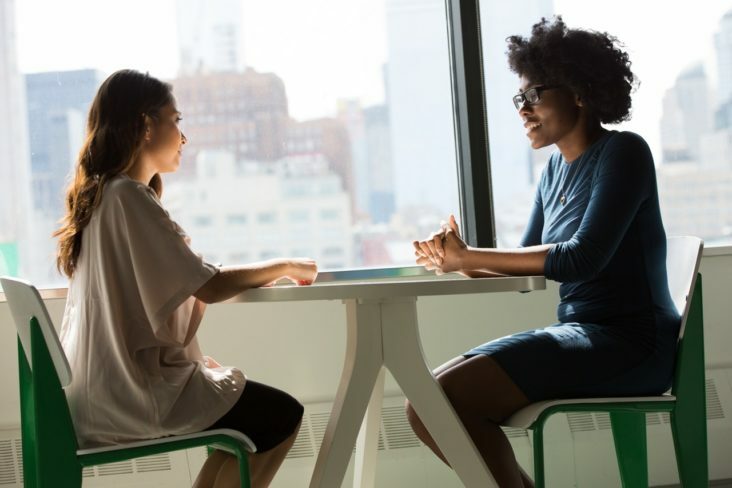 When a patient clearly knows that their physician is carefully listening and actively asking questions to clarify the specific aspects of their problem, a stronger therapeutic alliance develops. All too often I hear patients tell me that they were frustrated in the past with their doctor because they felt that he/she was not listening to them. This is so unfortunate because listening is a fundamental and easy process. Teasing apart the meaning of the words used in the story can be more challenging. Once the patient understands the importance of words, they can better appreciate the treatment plan and thus actively participate as a partner in the therapeutic process. Since the cocaine scourge of the ’70s and ’80s and the ongoing tragedy of the opiate epidemic, the American public has become painfully aware of the societal impact of addiction. Because of the prevalence and lethality of fentanyl-laced opiate overdoses almost everyone knows of a family that has lost a loved one. And despite all the time, effort and money invested in eradicating tobacco we now have to confront the growing addiction to nicotine through the expanding use of nicotine vape pens. The substance is used to elicit a positive reward state. Physical dependence develops so that when ongoing use is not possible a withdrawal state ensues. Tolerance to the substance develops over time so that increasingly higher dosages are required to both impart the “high” as well as avoid the development of active withdrawal. 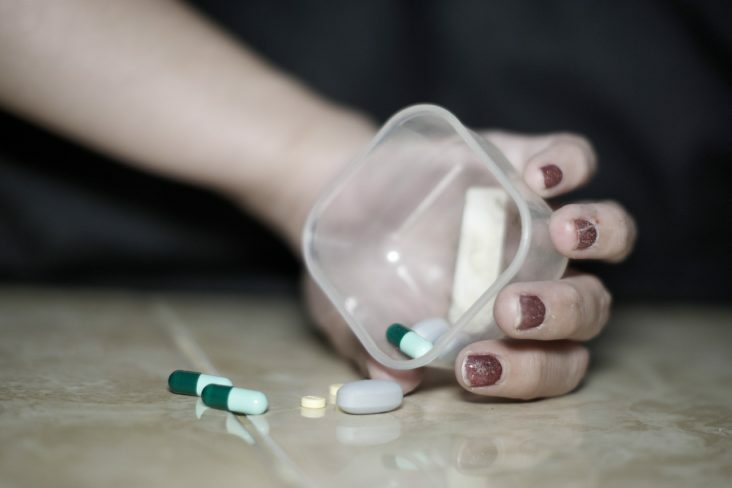 Ongoing substance abuse occurs despite the dangers present. Most addicts will tell you that they are aware of the risks involved, including arrest, incarceration, the dangers of the environments visited to get the drug, fatal overdose or other non-fatal medical complications (like heart attacks from cocaine, liver disease from alcohol, HIV from intravenous use) and the deleterious impact on family, job, relationships and quality of life. It is as if there is a disconnection between the logical part of the brain and the addicted centers of the brain. More on this later. On a practical level it is often helpful to restate the problem from another vantage point. Consider the traditional definition of alcoholism. Included in this definition is the need to consume alcoholic beverages upon awakening in ever increasing amounts to avoid alcohol withdrawal, continued imbibing despite the havoc created in one’s life and the rationalization and/or denial employed when loved ones try to talk sense into the alcoholic. This understanding is important but I also contend that one can have an alcohol problem without meeting the alcoholism criteria. Consider the individual who comes home from work every day to consume several beers or a couple of hard liquor drinks. When asked about this custom one will often hear that it is a way to “unwind” and shake off the stress of the day. Why? What about identifying the stressors and attempt to minimize them. Eradicating the source of stress may not always be possible but learning how to more effectively cope with life stress is. Why not substitute time with loved ones/friends, go for a run, meditate, listen to music or see a mental health clinician? All too often in our society we reach for a pill, a drink or an illicit substance to relieve our discomfort. The individual identified here may not meet addict criteria but can be viewed as having a substance related problem. Because of the impact of this problem on one’s life course and life quality, failure to address it becomes unfortunate. Societal acceptance of such maladaptive coping behavior is a big part of the problem, not too different from the common usage of sleeping pills in individuals who should instead directly address their insomnia. The modern approach to addiction treatment began in the mid 1930’s after meetings between Bill W. and a surgeon now known as Dr. Bob. Dr. Bob recognized alcoholism as a disease process and not merely a social or moral weakness. Out of this came Alcoholics Anonymous whose tenets, Big Book and twelve steps comprise the bulwark of addiction treatment to this day. The twelve step model is an important component in the clinical approach to the addict but it would be unfair to suggest that “one size fits all”. Classic AA considers the use of any mind-altering medication as taboo to the process of recovery. This is an understandable concept during AA’s early years. However, as addiction science has advanced a more balanced approach is needed. Brain imaging, genetic advances and careful epidemiologic research have all contributed to a more holistic systems approach to recovery. We now know that there are individuals whose addiction has been the direct result of their genetic makeup. As suggested in a previous paper on a systems approach I suggested that there are some individuals whose genetic predisposition only results in clinical pathology when interacting with situational stressors that subsequently activates the biologic psychopathology. This discussion would not be complete if we did not review the concept of addiction as self-medication. This refers to individuals who discover that the illicit drug or alcoholic beverage serves to reduce or eradicate painful or troublesome mental state symptoms. A classic example is that of social anxiety. Social anxiety disorders can be devastating to say the least and often start in the teenage years. So when a teen discovers at a party that an alcoholic beverage successfully controls the anxiety and for the first time allows the individual to socially interact without emotional constraints, alcohol becomes a necessary ingredient for future social endeavors. Unfortunately, dependence and tolerance ensue and leads to a whole host of new difficulties. Opiates and marijuana similarly modulate social anxiety or panic attacks. Attention Deficit Hyperactivity Disorder (ADHD) represents another example. When the impulsive, terribly restless and hyperactive young person with an inability to focus and control a busy head finds these symptoms almost normalized upon to exposure to recreational cocaine. In fact, cocaine might represent an effective ADHD treatment modality if it were not for its horrendous addiction potential, it’s very short duration of action as well as to say the least, its illegality. The above discussion introduces the concept of self-medication. Self-medication must be considered in all cases of addiction because once the core psychiatric problem is identified a more definitive treatment becomes possible. By stabilizing the underlying disorder the addictive process has a better chance of entering into an enduring recovery. This does not suggest that the twelve step approach is unnecessary. In fact, the combination of treatment addressing the non-substance abuse psychiatric disorder in conjunction with traditional recovery methods maximizes the outcome. We now understand that the biology of addiction involves brain regions that get reprogrammed. As a consequence, these brain areas begins to act independently from the healthy rational parts of the brain that under normal circumstances keep us out of harm’s way. These addiction centers are essentially highjacked by the drug and can successfully pathologically influence healthy brain areas. A critical goal of addiction treatment is to help the individual develop coping skills and capabilities that subsequently allow for ability to recover control over previously all powerful addiction centers. As you can see, successful addiction treatment requires a careful multi-system and bio-psycho-social evaluation and treatment planning that serves as the foundation for a future free of drug abuse. Each person with the scourge of addiction deserves an individualized open-minded approach. Despite all the negative media attention that addiction has garnered, the future has never been brighter for treatment. Prevention remains the ultimate goal and an ongoing challenge. I consider myself a well-trained mental health professional and as such an expert on human behavior. These days however, I find myself more and more at a loss pondering the amount of violence and hate visible in our world. This week I attended an interfaith vigil united to protest hate crimes and violence. It was uplifting to share in the community expression of mutual support, love and the need to heal. However, I left feeling that there still were no answers to the existence of such evil. What motivates individuals to slaughter innocent people in “soft targets” like schools, theaters or houses of worship? Could it be genes at play? Family of origin pathology? Traumatic life situations? It is too simplistic to blame such behavior on a psychiatric disorder. Instead, I believe that we need to more closely example the societal influence that could spawn such tragic community events. There appear to be some common factors among such violent individuals. They tend to be loners, self-absorbed, isolated, emotionally empty and socially estranged. They wrestle with an absence of self-worth and meaningfulness. Their antisocial actions often represent a rageful attempt to make a political point or express unmitigated bigotry. These are individuals who for the most part feel marginalized by society. Emile Durkheim was a French social scientist who many believe was the father of modern sociology. Towards the end of the 19th century he was concerned about the prevalence of completed suicides in Paris. His carefully designed research uncovered some basic components inherent in these tragic events. He coined the term anomie that describes the sense of namelessness, lack of belonging and loss of identity often present in these individuals. It is my belief that similar factors can be found in the murderous actions of the perpetrators of hate crimes. In many respects, the personality factors that create the self hate and negativity can be redirected outwards to others, whether it be religious beliefs, skin color or political ideology. The net result is violent acting out and tragic loss of life. Trying to tackle the problem of preventing the development of such individuals may be an almost impossible task. However, I am most concerned about a societal development that has contributed to this process. I am referring to the explosive intrusion of social media and the internet. Don’t get me wrong, there are numerous societal benefits of the internet and social networks. But there is a major downside and that is what I would like to clarify. Social media has contributed to the development of anomie in many of its participants primarily because of the degree to which it interferes with natural face to face social interactions. Teens are losing the natural ability to maintain eye contact due to their preoccupation with screen contact. Group social interplay suffers as well. Sure, one will sees group of teens together but they are often preoccupied with their phone screens. To make matters worse, as I have written in the past, the wanton spread of traumatic life events on all aspects of media has profound impact on the psychological health of its innocent witnesses. We all know what it is like to watch the news on television, non-stop mayhem, murder and expressions of negative like events. When was the last time that you saw a program devoted primarily to positive heart-warming news or life events? Daily exposure to such negative stimulation does have an impact on our psyche and can lead to what I have labeled media- related post traumatic stress disorder. So what is one to do? I think that it is beholden on parents to limit screen time of all kinds and promote exposure to healthy and emotionally uplifting media experiences. It is time to reinforce the value of books. Family mealtime should be for conversation and not for watching the screen. Screen preoccupation in restaurants should become restricted. We need to educate parents about the negative impact of social media addiction. To be successful, grown-ups must also recognize that they are vulnerable to the pathological effects of negative media exposure and therefore need to adjust their behavior as well. I know this is a tall order. But I truly believe that in the 21st century this is a major societal challenge that cannot be ignore. Thank you for taking the time to read this commentary.